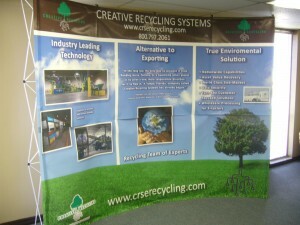 Temporary signs are a inexpensive yet highly effective option. Most of the time, these signs are used to promote garage sales, people running for office, a grand-opening and many other things. 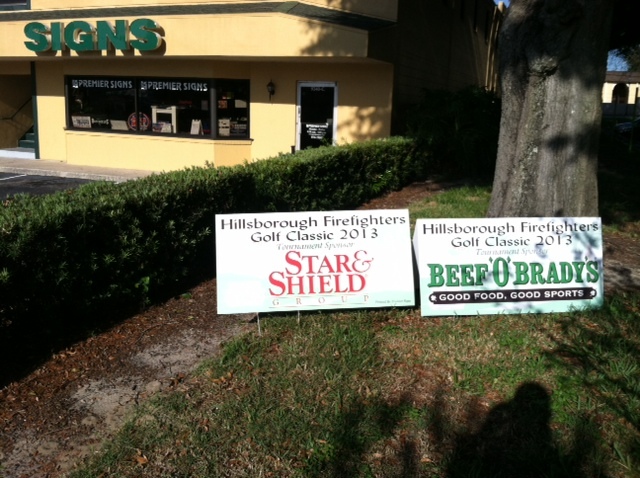 Temporary signs are a great option because it gives your business a lot of exposure. 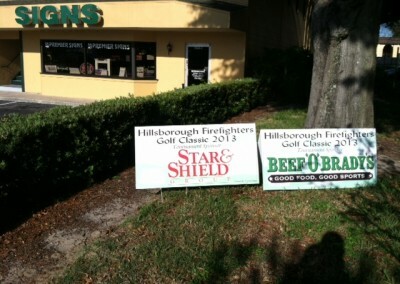 Many times the signs are used for sponsor hole signs at charity golf outings. The wire stakes are available if needed for use in landscaped areas. 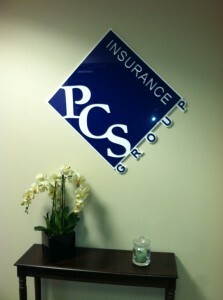 Call us today to customize your temporary sign! Premier Signs is a Visual Communications Company providing graphic design services, custom signs and digital prints / printing for all of your large format needs. Customer Service is our Top Priority. 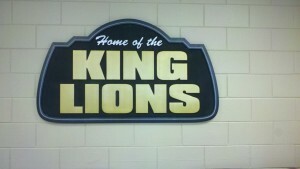 Looking for a sign company to handle your visual communication needs? Look no further! Our experienced staff will help with every aspect of your project. Temporary signs come in a variety of sizes. 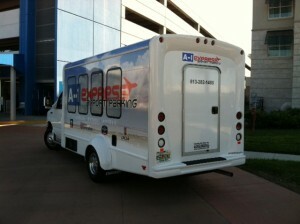 They are great when adverting for any type of event. Temporary signs can even be ordered with metal stakes so it makes it easier to display them in landscaped areas. We would love to help you with your Temporary sign today! Call us!